With the mid-week holiday, having the weekend come again so soon really through us off. Truth be told, I am not at all complaining. We didn’t have much planned for the weekend (what, no road trip for us??) and were quite looking forward to taking it easy and doing whatever we pleased. I started the morning with a run through Piedmont Park, which I had to cut short due to the heat-it’s amazing how much hotter it is at 8 A.M. as opposed to 6 A.M. We registered for the Atlanta Beltline Southwest 5K next Saturday that starts at 7:30 so hopefully the sun will be kind and not completely whoop me. Since The Color Run was more for fun than a real race experience, I’m looking forward to getting an official time next weekend. Drew treated us to his delicious Nutella-stuffed french toast for brunch, then we settled in on the fold-out couch for a bit of Breaking Bad marathon. 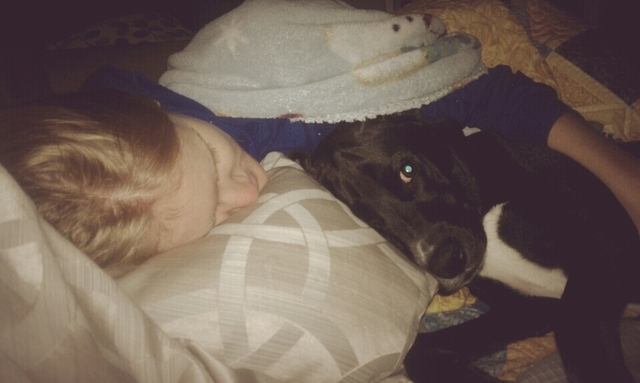 Theo wasn’t feeling too well so he curled up in the middle of us and took a nap. We know he’s feeling poor when we’re eating at the table and he doesn’t even try to beg for food. We scheduled a vet appointment just in case, but thankfully he’s feeling better today. 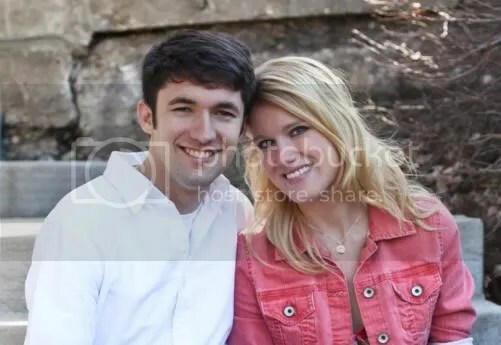 Later we headed to Landmark Cinemas for a matinee showing of the new Spiderman movie. I’d actually never seen any of the older version with Tobey McGuire, and to be honest, I didn’t think this movie would be something I’d enjoy. I was pleasantly surprised and really enjoyed it. Drew and I have decided that Landmark is our favorite place to see a movie-we love the small, quaint theaters that are never too crowded, and the fact that they serve Red Stripe and Strongbow. Win. 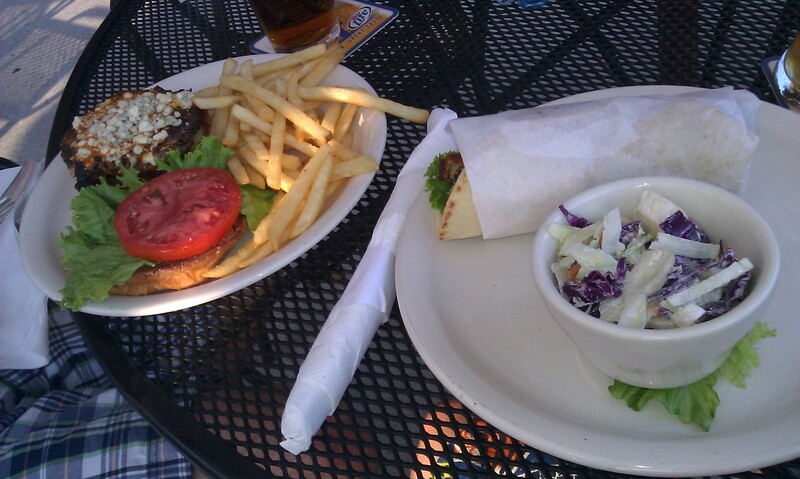 Our dinner at The Highlander: Falafel pita and blue cheese burger. Frozen yogurt from Yoforia. It may not look pretty, but Drew swears his tasted good. Today has been another relaxing day. After church we headed back home for a bite to eat and–gasp–another nap. Now we’re sipping coffee and plugging away on our laptops at Octane, one of our favorite local coffee shops. 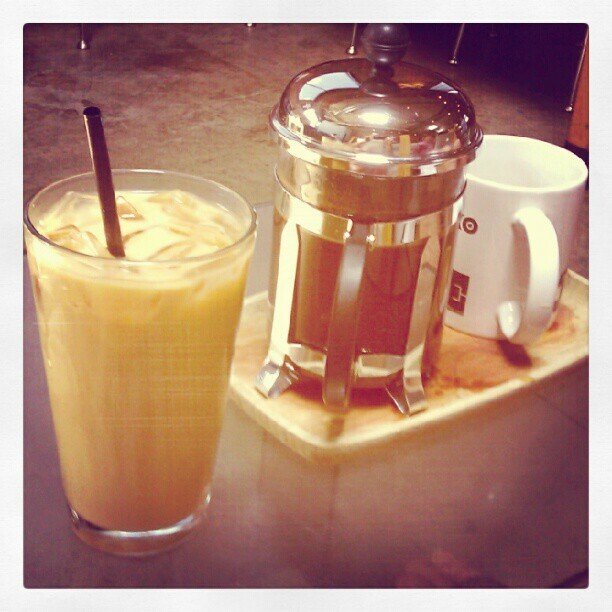 They have great French press but today was definitely an iced coffee kind of day. It’s only 90 degrees out today, still hot but a nice reprieve from the 100+ heat we’ve had the past couple days. The weather forecast predicts thunder storms off and on for the next week or so. Normally I’m not a fan of storms or rain, but if it means cooler morning runs, I’m all for it. ← Braves Game and a Very Happy 4th! Sounds like you had a relaxing weekend after so many road trips this past month! Good luck with the 5k! Wish we could be there to see you guys run.